Buy 4 patient at-home kits, Get 1 FREE! Buy 4 refill syringe kits, Get 1 FREE! Carbamide peroxide formulation available in three concentrations and two flavors. Whitens up to nine shades in 1 to 2 weeks. Each syringe provides 3 dual arch applications. 16%: 4-8 hours a day (overnight). 22%: 1-2 hours a day (max. twice daily). 32%: 10-15 minutes, twice a day. 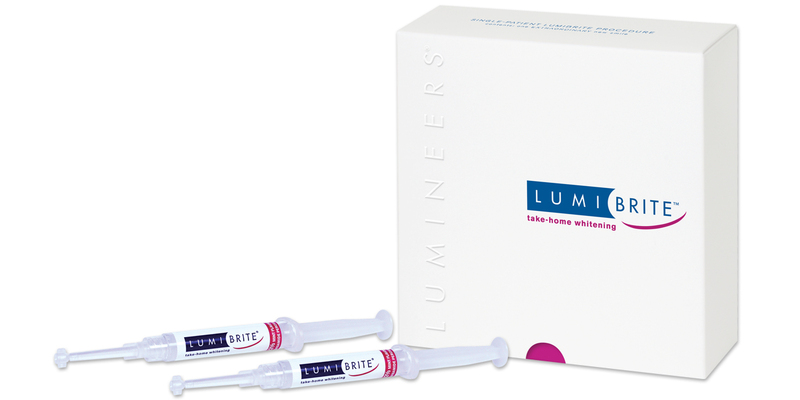 Contains: 12 x 2.5ml syringes whitening gel, packaged as 6 patient treatment kits (each patient treatment kit contains 2 syringes and patient instructions). Contains: 6 x 2.5ml syringes whitening gel, 2 resin tray sheets, mouthguard case, instructions for doctor and patient.